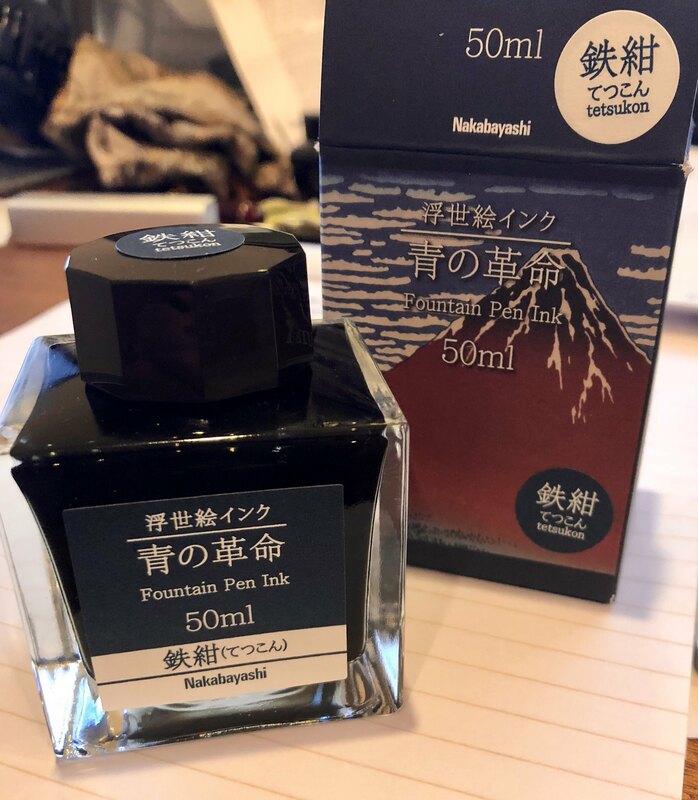 I bought this ink at Itoya in the Ginza area of Tokyo. I was looking for an ink I could not buy in the USA, or at least one I did not know about. This ink was part of series from (to me) an unknown source that all had cool box artwork. The color sample looked promising so I bought it. Lucky for me I like the ink. 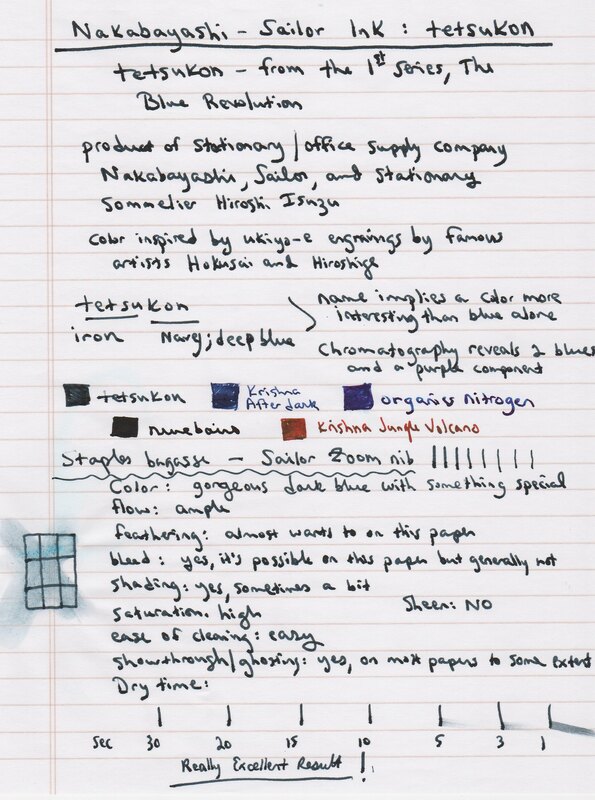 Tetsukon--tetsu for iron, kon for navy or dark blue. Nakabayashi is an office supply company. It's a dark blue with a reddish purple undertone that is really pleasing in a totally non-overt way. This ink just has something extra that makes it special. 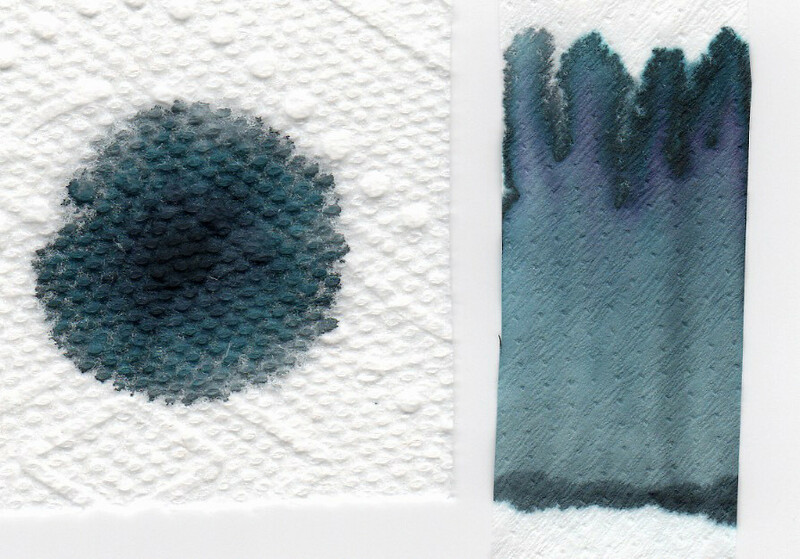 Paper chromatography reveals three or four components including the purple that gives the dark blue a subtle pop. Sailor makes the ink so that gives a lot of confidence that it's got good properties and is safe for pens. Flow is ample but the dry time is fast, which is great for this lefty who likes broad nibs. 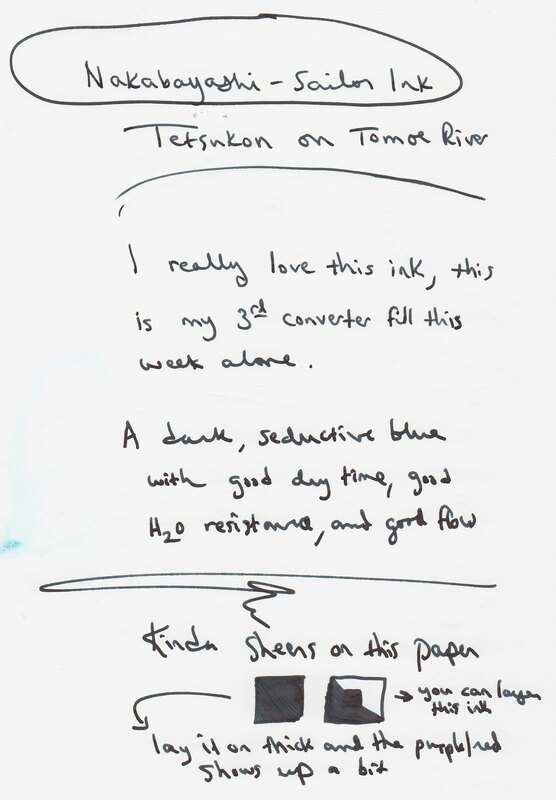 Not much in the way of sheen or shading unless heavy lines on Tomoe River paper but it is well behaved and gorgeous. A real winner. Pretty good water resistance too. I'd like to try the other inks in this line as well. Looks great! Thanks! Not that I'll be able to get a bottle, but I enjoy seeing your use and joy in using it. Good find, and a lovely review. Thnak you.